Funeral Sermon for Cliff Bril: "The Lord's Servant"
Lord, now you are letting your servant depart in peace, according to your word. Simeon the priest was in the temple as he sung these words, serving God, serving others. That was his calling. The Holy Spirit had revealed to him that he would not die until he had seen the Lord’s Christ, the Messiah and Savior that YHWH had promised long ago. And there he was in the flesh. In Simeon’s arms. Here was the infant Priest foreshadowed by all the Old Testament priests. Here was the consolation of Israel cuddled in his aged arms. Here was the Lord of all who became the Servant of all for Simeon, for Cliff, and for you. At that moment, God’s word had been fulfilled. At that moment, Simeon saw his salvation and Cliff’s and yours in those wiggly infant arms and legs that would one day be fixed to the cross, where the infant priest would make the ultimate sacrifice. At that moment, Simeon was ready to depart in peace. He was ready to die. The Lord was faithful. The Lord kept his promise. The more I read Luke 2 in preparing for today’s service, the more I noticed how much Cliff has in common with Simeon. Like Simeon, Cliff rejoiced in being here in the Lord’s temple where the Lord of all is still the Servant of all: proclaiming his promises for Cliff and us; calling us by name in Holy Baptism, as he did for Cliff; and beholding the Lord’s salvation of hidden in humble bread and wine for the forgiveness of his sins. Like Simeon, Cliff was ready to die in peace. Like Simeon, he knew he was a sinner, but that Jesus is the savior and rescuer of sinners. He knew it was time to be with the Lord. But of course, we were not ready for him to depart. And so we are grieved. We weep. We mourn. And yet, the prophet Isaiah speaks words of comfort to us Thus says the Lord, Fear not; I have redeemed you; I have called you by name, you are mine. And like Simeon, Cliff was the Lord’s Servant. He served as a faithful husband, father, grandfather, and great grandfather. He served as a faithful member of this congregation in fervent prayer, love for others in his gracious compliments, and joyfully receiving God’s gifts week after week. Yes, one of Cliff’s greatest joys was serving others. That’s why he was proud of his time in the Army. He drove supply trucks, built airfields, and even warned his fellow soldiers of a German breakthrough in the Ardennes, boots in hand and socks on his feet. But don’t think that this is all about Cliff. He wouldn’t want that kind of attention on himself. That, by the way, is another mark of a servant; counting others as more important than yourself. To paraphrase Isaiah, Cliff knew that when he passed through the waters of Omaha beach behind the wheel of a supply truck, the Lord was with him. He knew that when he was waded through the rivers and forests of France, the Lord was with him. He knew that even though he was surrounded by the thunderous fire of German tanks, the Lord was with him. Cliff knew that whether he was half way across the world in the war, or at home or church next to family, the Lord was with him, just as he was with Simeon. Cliff knew all this because he knew what Simeon knew…that it was also Jesus’ greatest joy to serve others, to count others as more valuable, more precious than himself, even to the point of laying down his life on the cross for Cliff and for you. For…The Son of Man came not to be served, but to serve, and to give his life as a ransom for many. This is why Simeon held Jesus that day in the temple. The Lord’s servant had come at last. 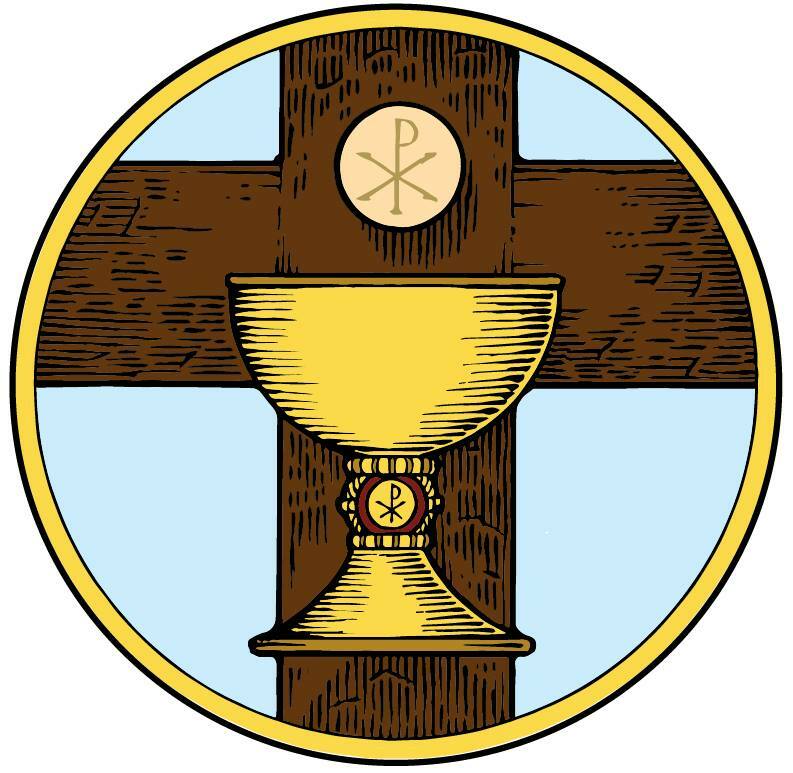 The Priest and sacrifice had entered the temple. God’s Word was fulfilled. The Lord of all became a servant of all for Simeon, for Cliff, and for you. Simeon was ready to die in peace because he knew that Jesus had come to in order to bring about that peace. Peace through his death on the cross for Cliff and for you. Jesus fought the good fight against sin and death for Cliff and for you. Jesus let the torrent waters of judgment overwhelm him so that you would pass through safely to the other side. Jesus walked up the hill of Calvary to the cross, endured the scorching heat of God’s wrath over sin all so that we would not be consumed. Jesus is the Lord’s Servant, in death and in life. And he continues to serve us as he did Simeon and Cliff, throughout life, and even through the grave to eternal life. That’s the hope that Simeon and Cliff point us to: The Lord is faithful. Jesus keeps his promises. Christ has died. Christ has risen. Christ will come again. With Simeon and Cliff, we long to see, hope for, and love the Lord’s appearing, the resurrection of the body, and the life everlasting. And we join Simeon and Cliff in confessing: Lord, now let your servant depart in peace, according to Your word. 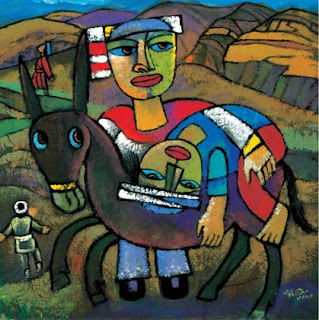 Sermon for Pentecost 8: "The Outrageous Samaritan"
Now, we may think this is all just polite conversation, but these are invitations to tell a story, about our day at work or with the kids, our vacation or leisure time with family and friends, or our summer activities. It’s as if God hardwired us to be storytellers. And I think he did. That’s at least one of the reasons Jesus spends much of his time teaching us in parables. Parables are stories. And at least one temptation with the parables, is to treat them like our daily stories around the dinner table, in the car, or on the patio over donuts. That is, to make them all about us. I watched fireworks. I spent the weekend with family. I saw Finding Dory. Did you notice? It’s all about me. We’re tempted to apply this same storytelling method to the parables as well. “Am I the prodigal son or the one who’s angry at the Father’s lavish grace?” The answer is both, but it’s actually about the Father’s grace more than the sons’ sins. “Am I the lost sheep or one of the 99 Jesus already has in his pen?” Again, the answer is, yes. But the parable is more about the outrageous love of the Good Shepherd than us. “Am I the worker who’s been in the field all day or the one who comes at the 11th hour and still receives the same wages?” It matters not, because the parable is about the mercy and abounding grace of the land owner, not our work. Jesus’ parables are stories that point to, find fulfillment in, and reveal Jesus’ mercy, grace, compassion, outrageous forgiveness, and undeserving love. When we turn them into Aesop’s fables or look for the moral in the story for better Christian living, we’ve missed the point. Jesus’ parables point us again and again to his seeking and saving the lost, the loser, the outcast by his death on the cross. There was a man going down from Jerusalem to Jericho, and he was ambushed by robbers; they stripped him, beat him, and left him for dead. Along came a priest and a Levite, both of whom kept walking right on by. Finally, an unlikely hero, a Samaritan comes along; he helps the man, takes him to an inn, pays his medical bills and more. Which of these three was the neighbor? The obvious answer is the Samaritan man of course. The one who showed mercy. So, you go and do likewise. Don’t be the Priest or the Levite. Be the hero. Be the Good Samaritan. That’s usually where we’re left hanging when this parable is told. 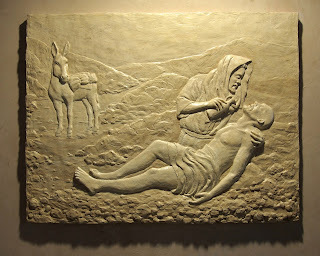 The Good Samaritan is only an example we’re called to imitate. The problem with reading the parable this way is that once again it’s all about me. And the Gospel gets shuffled down the road quicker than the Priest and the Levite. Remember, Jesus tells this parable to a man who asked him: “Teacher, what must I do to inherit eternal life?” Wrong question. What do you do to inherit eternal life? Nothing. An inheritance is given. Jesus gives you eternal life. So, Jesus tells this parable, not to give the man yet another merit badge to earn or an achievement to unlock, but rather to join him in his journey to Jerusalem and to the cross. When Jesus is at the center of this parable it sounds quite different. Sounds an awful lot like Jesus to me. Like the man in the parable, Jesus is making a descent, not from Jerusalem to Jericho, but a journey downhill to his passion and death, to be the first who becomes last, the one who becomes lost and stripped, beaten, and left for dead…all for you. 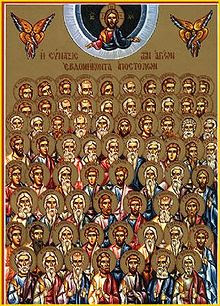 To the Jewish hearers, these men would’ve been the heroes. And yet, in their quest to fulfill the ceremonial law, they neglect the moral law to love your neighbor as yourself. Sadly, all they know is the law; they know nothing of love, for only love, not the law, can serve the neighbor in need. And so they kept on going. And you can hear Isaiah and John echo in the background. He was despised and rejected by men…he came to his own and his own did not receive him. It’s no accident Jesus chose a Samaritan for this third character. The Jews considered them heretical worshippers and half-breeds, like the term mud-bloods for you Harry Potter fans. The Samaritan was an outcast, a loser. And here’s the genius of Jesus’ storytelling. He sends the outcast to the rescue of another outcast. He sends the loser to minister to another loser. Sound familiar? Jesus, who knew no sin, became sin for us. Jesus, who is first, became last so that we who are last might become first in Him. Jesus became the outcast, the loser, the lost one, the dead man, so that in our lostness, deadness, and outcastness, we are found, welcomed, and made alive again. 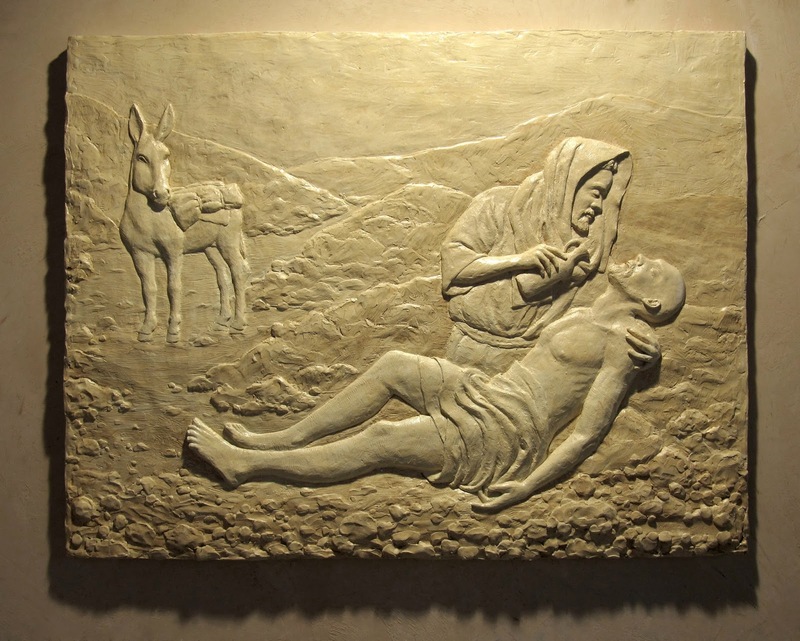 The Samaritan binds up his wounds, pours oil and wine – all acts of kindness to be sure, but something that most normal people would think an inconvenience when helping someone else, not to mention expensive and time consuming. But the Samaritan does it all the same. And more. He puts the beaten man on his own animal, which means he had to walk the road for him. Then, he takes him to an inn, takes care of him for the night, further impeding his travel plans. And, if that wasn’t enough, he goes to the front desk in the morning and books the victim an indefinite stay, all expenses paid – room, food, doctors, medicine, health club, a healthy donkey if needed – no questions asked, no strings attached. He lays down his own life and livelihood for this man. Jesus’ whole point here is not to give this lawyer another stairway to try and climb his way to heaven. He’s not giving us a formula for Christian niceness, as if that is going to answer the question “What must I do to inherit eternal life?" The reason for the rather outrageous, irrational behavior on the part of the Samaritan is not to point us to another set of good works for us to do, but to the passion and death Jesus accomplishes for us. Jesus tells us along with the lawyer; stop trying to live by the law; stop trying to inherit eternal life by what you do or say. Rather, be willing to die, to be lost and then found, to be the dead man and to be made alive again in Jesus. Does Jesus want us to go mercy to the neighbor? Of course. He meant what he said. Before we can be the Good or kind Samaritan, we must first be the dead man on the road, rescued. Only when we are free from the law are we free to help our neighbor and show mercy. And Jesus has set you free. Here, Jesus puts you on his own back, takes you home, binds up your wounds, and lays down his life for you – everything charged to his account. We who are lost, are found in Jesus. We who are last, are first in him. We who are outcasts and losers are welcomed by the Father with arms wide open, victors in the death of Jesus. We who were left for dead on the roadside are joined in death, and made alive again in Jesus. You are free. Free from your keeping track of your good works and free from making the law your own personal hamster wheel. You are free from sin and death. Free to go and do likewise for your neighbor. Sermon for Pentecost 7: "Peace be to this House"
Even though it’s dimly lit and covered with more and more dirt every day, all our human attempts at peace are a window. As St. Augustine once said, “Our hearts are restless, O Lord, until we find our rest in Thee.” We want peace. We see a world, our communities, families and friends, and ourselves in need of peace. And yet we live in a restless world where peace is quickly becoming a word without meaning, a feeling without substance, and a quest without a goal. The kind of peace we seek in this life is illusive and often an illusion; we’re incapable of finding the very peace we need. It’s into this kind of world that Jesus sends the 72 disciples. Not a utopia. But a broken, fallen world. A world that is the opposite of the Shalom, peace, wholeness, everything fulfilled and at rest that it was in Genesis. Jesus gives the 72 his message: proclaim peace. They are ambassadors of the Prince of Peace. “Peace be with this house. Peace be with you”. This is no pithy greeting card message, or a friendly “howdy ho, neighboroony”. No. Jesus’ peace is a blessing and promise all in one. This is the peace that comes only in the Crucified and Risen Jesus. To the world, the cross is foolishness, a scandal and a disgrace. But for us it is the power of God for our salvation. Jesus’ peace for you is found in his pierced hands and side; his kingdom comes for you by his crown of thorns. His cross is true love for you, true peace. Jesus gives you peace through weakness, by laying down his life for us. The Hebrew word is Shalom. Not a temporary peace, but a restoration of wholeness. With Jesus’ peace comes healing in body and mind. It begins now…already in Christ you are a new creation. And yet it is still to come. Jesus will make all things new. There will be everlasting peace. Jesus calls us to be ambassadors of His peace: We don’t build the kingdom of God. Like the 72, we’re called to proclaim it. There’s a big difference. Sometimes we get the impression that the kingdom of God up to us to build. But that wasn’t the case for the 72, and neither is it for us. The kingdom of God is built not on our efforts but on God’s efforts, not on our works, but Christ’s works. Not with our blood, sweat, and tears but with Jesus’ blood, sweat, and tears. Jesus does the work; we proclaim: “it is finished”. And so for all the times we’ve shaken the dust off our feet at Jesus, how beautiful are the feet of him who bears good news for us on the mountain of crucifixion. For all the times we’ve rejected his peace for our own private rebellion, Jesus cancels our record of debt by nailing it to the tree, reconciling us with the Father. For all the times we’ve desired for my kingdom to come, and my will to be done, in Jesus speaks: “Peace be with you”. Rejoice; your names are written in heaven. The same Jesus who’s birth was announced by the angels - “Glory to God in the highest, and on earth peace among those with whom he is pleased!” – is the same Jesus who was born to be our Prince of Peace. The same Jesus who entered Jerusalem amidst the shouts of - “Blessed is the King who comes in the name of the Lord! Peace in heaven and glory in the highest!” – is the same Jesus who reconciled the world to the Father, not counting our trespasses against us. The same Jesus who spoke “peace be with you” to his disciples after his resurrection, is the same Jesus who delivers his peace to you today. For in Jesus the Kingdom of God has come near…and comes near to you still. This is no abstract peace, but a real, tangible, flesh and blood peace. 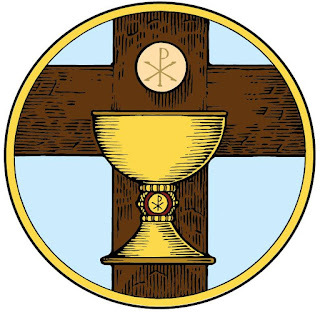 Jesus gives us peace in his body and blood in ordinary bread and wine. Jesus gives us peace in his Word that gives true Shalom and rest. Jesus gives us peace for all time in your Baptism. This is what we receive and proclaim: peace through Jesus’ cross. Peace by his blood, shed for you. Peace in his wounds. Peace in his resurrection. Funeral Sermon for Edwin Anderson: "Jesus is the Bread of Life"
If ever there was a fitting verse someone who spent a good part of his life working in a grocery store, this is it. Edwin knew a lot about bread. Ed worked hard in his labor of love to provide daily bread for his wife, Sharon. He prayed to the Lord with his family and for his family: Give us this day, our daily bread. In his years at the grocery store he shelved, bagged, bought, and managed the bread and everything else that people needed for this body and life. And like any good Lutheran, he also enjoyed the occasional can of liquid bread. Jesus knows a little something about bread too. As the crowds are gathered listening to Jesus’ preaching, Jesus reminds us that for all the blessings it is for our bodies, for all the vocations God employs to give us our daily bread, there’s one major problem with bread. Bread is food of the fall. East of Eden, bread takes work – even the ground is cursed. And so, seeds are sown. The farmer harvests. The miller grinds. The baker bakes. The truck delivers. The shelves are stocked. The grocer sells. Then we buy and eat. This is how God gives us our daily bread, a process Ed was quite familiar with. And yet, Jesus reminds us that the very bread that sustains us is also a sign of our mortality. Do not work for the food that perishes, but for the food that endures to eternal life, which the Son of Man will give to you. Even the best bread molds and decays. It fills us one moment, and leaves us hungry the next. Bread comes from the earth and feeds our bodies which will one day return to the earth. And so, today, as we mourn the death of Ed, a loving husband, father, grandfather, neighbor, friend, and brother in Christ, we might be tempted to think that the bread of death is all we have to eat, that all our work on this fallen earth is pointless, and that the grave gets the last word. But we would be wrong. Yes, God’s gifts of daily bread in this life are temporary and will fade away. And so Jesus calls us to something that will never rot, decay, or pass away: his Word and promise. His life lived for you. His death for Ed, for you, and for all. Yes, we hunger in this life, and yet God richly provides all that we need for this body and life, out of fatherly divine goodness and mercy, without any merit or worthiness in us. Ed knew this too. It is by grace we are saved; and by grace we are given daily bread. Yes, Moses and the children of Israel ate manna in the wilderness and they died. And so will we. But here’s the good news. So did Jesus. By the sweat and blood of his brow, Jesus labored under the weight of our sin for Ed and for you; he suffered and wrestled with thistle and thorn on the cross for Ed and for you. And then he returned to the dust of the earth for Ed and for you. Jesus swallowed Adam’s bread of death in order to give you the Living Bread of his flesh and raise you to life. Jesus rose again from the dead. And that means Ed is not alone. Neither are you. Ed is with Jesus. And Jesus is with you. And together, with Ed and all the faithful departed, we await the resurrection of the dead and the life everlasting. But even now, Jesus doesn’t leave us hungry; in the Lord’s Supper, Jesus takes the food of the Fall, fills it with his death and resurrection, and turns it into a feast of forgiveness for you. In Jesus’ flesh we have bread that brings immortality, holy food that sustains us on our pilgrimage home. Jesus’ body is true food that will never perish, and in eating and drinking his body and blood, he guarantees that you will never perish either. “I am the bread of life; whoever comes to me shall not hunger, and whoever believes in me shall never thirst.” Jesus is Edwin’s bread of life. Jesus is your bread of life.